When is the Run in the Dark? The Run in the Dark will be held on Wednesday 7th November 2018 in Dublin, and Wednesday 14th November 2018 in the rest of the world. Start time is 8:00 pm in most locations. Please check the specific event page for your location’s start time. The official locations for 2018 are Dublin, Cork, Belfast, and London. Entry fee for Dublin and Cork is €30 plus €1.50 admin fee. The fee to enter in Belfast is £24.50 and £25.95 in London which includes postage and packing, plus £1.50 admin fee. Early Bird entrants in official locations (Dublin, Cork, Belfast and London) get a free long sleeve running top; this is open until the end of August. After this date, you have the option to purchase a top. If you are a member of a prepaid team you must have completed your personal details by 31st August to avail of the top. At our official locations – participants of 14 and over can take part. Prams and pets are not allowed for health & safety reasons. I can’t see my location on the website? Our official locations are Dublin, Cork , Belfast, and London. Our smaller pop-up events, which are organised by our network of volunteer pop-up champions around the world, will open in early September. If I can’t make it to an official location can I do my own run? Yes! If you can’t make it to one of the official locations you can take part in one of our pop up events. If there isn’t a pop up in your area, please get in touch by sending an email to info@runinthedark.org and we can give you more information about becoming a pop up champion. How much does it cost to enter a Pop Up event? How do I organise a Pop Up event? Download our pdf here. Send us an email to info@runinthedark.org and we will get you started! Just check the map to see there isn’t one already in your town or city. Your entry fee will go directly to The Mark Pollock Trust. 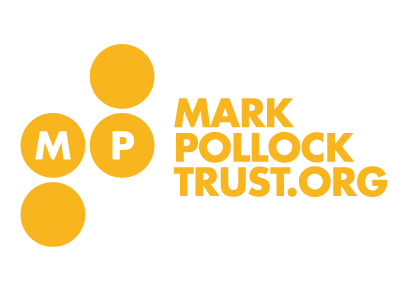 You can also choose to fundraise for The Mark Pollock Trust, and help us with our mission of curing paralysis in our lifetime, or you can fundraise for any charity of your choice. No. You can just pay your entry fee and take part. TIMES / RESULTS / RUN, JOG OR WALK? Will I get an official time? All participants at official events in Dublin, Cork, Belfast and London get a timing chip in their run pack. You must wear your run number on your chest. It must be visible at all times, otherwise you may be refused entry and your time may not be recorded. Please note your chip time is the finishing time you will be texted and is the result you will see on our website. Placings in the results will be based on chip time. Chip time is from when you cross the start line mat to crossing the finish line mat, i.e. how long it took you from start to finish. Gun time is from the event start time i.e. 8pm – this is when our clock timer at the finish line will start so the time you see on the clock as you finish will be different to your recorded chip time. Pop-Up events are small casual events organised by local volunteers and as such will not be chip timed – just a run with a group of friends to show your support in your part of the world. Results for Dublin, Cork, Belfast and London will be posted after the event in the results section. As soon as possible after the event you will receive a text with your chip time assuming you have entered your mobile number correctly during the registration process. he Run In The Dark events are fun run events to raise awareness and funds for a good cause and we welcome all abilities to come out and take part and have a good night. All 10k participants must run, and must be able to complete the run in under 1 hour 20 mins. Walkers are welcome for the 5k event. The 5k and 10k routes in each official location are measured according to Athletics Ireland / British Running standards. Please note that if you are using GPS devices to measure the route as you run, tall buildings in built up city areas can affect GPS. Can I review the route map for my event? Yes. Go to the event specific pages for information about start/finish locations and detailed maps about bag drop areas, toilet and changing facilities, run pack collection and parking. The route map for official locations will also be included in your race pack. Please note that routes are subject to change. Will there be a bag drop area? The Run in the Dark will provide a bag drop area in certain locations for all athletes. Directions on how to find the Bag Drop in your location will be included in your run pack and online. In official locations, your baggage label is the perforated part of your run number. Please check your location specific event page for more information. Please note that running at night in November can make for chilly weather conditions! Please ensure that you bring appropriate layered/waterproof clothing to allow you to remain warm up to the start of the run after you leave the bag drop. Health and safety advise that providing water bottles on route in potentially cold and dark conditions would be hazardous. Water bottles are therefore only provided at the end of the course. If you require water for the route please bring it with you. The sooner the better as we expect the official locations to sell out fast as they did last year. Pop-up venues have limited space so register today! Unfortunately not, as most of our events sell out beforehand. How do I know I’ve registered? You will receive an email confirming your entry. If a friend or colleague has entered for you an email confirmation will be sent to the email that was used on the entry. Please check your spam folder for confirmations. Closer to the event you will receive a confirmation SMS with your run number. Can I swap locations after I’ve registered? No, unfortunately it is not possible to swap to another location. All run numbers are specific to each event so please ensure you are on the correct location page when registering. Yes, that’s no problem. Just run your desired distance and the chip timer will know. You will be categorised accordingly. Can I give my number to someone else if I can’t run at the event? No. You can’t allow someone else to run with your run number for insurance and result classification reasons. If you would like to change the name on your registration, we give you a discount code so the other person can register under their name before 31st October. Or better still: tell your friend to sign up separately as it’s for a good cause! Unfortunately it is not possible to change the size of your tech top. Yes, please email us at info@runinthedark.org to request change of address. However, no changes will be possible if your pack have already been posted. I can’t run. Can I get a refund? As stated in our Terms & Conditions, we offer a refund within 48 hours of purchase of your run entry. Unfortunately, the transaction fee is non-refundable, and the entry fee is non-refundable and non-transferable after 48 hours. No refund can be issued after 22nd October for the Dublin event, and 31st October for all other events. What information will I get leading up to the Run In The Dark? Keep an eye on our Facebook and Twitter channels for the latest updates. We will send you useful information by email to get you in to the zone for your event, including training plans, fundraising options, and important information about race day. When do I receive my run pack? Your run pack will be posted out in the weeks prior to the event, unless you chose the pack pick up option in Dublin or Cork. Please ensure when registering that the postal address you provide will be an address that will still work for you in November. We can only deliver to addresses in Ireland and the UK. If you’re registering as a prepaid team, all the run packs will be sent to the team leader’s address so please make sure that the team leader will be able to access that address in November in time to distribute the packs to the rest of the team. If you chose pack pick up in Dublin or Cork, you can pick up your pack in the days preceding the event. You will receive an email with all of the details. When do I receive my tech top? If you entered as an individual or claimed a team place by 31st August you probably know you are getting a snazzy free top! Or, if you missed the deadline you have the option to purchase a top. This top will be in your run pack. You will receive the top and run pack based on which of the following you opted for: postage, pick up (Dublin and Cork only) or if you are part of a team, all tops will be sent to your team leader. What happens if I don’t receive my run pack? If you haven’t received your run pack by Monday 5th November in Dublin, and Monday 12th November in Cork, Belfast and London, please email us at info@runinthedark.org. We will have your run pack ready for collection on the night of the run instead. If you are a Dublin or Cork runner and have chosen to collect your pack, you will receive an SMS with your run number. You must show this at the pack pick up location. If you do not receive an SMS, bring your confirmation email with you to the pack pick up location and our information desk will assist you. Belfast and London do not have a pack pick up facility – all packs for these locations will be posted out up until 4th November; late sign ups will be waiting at the start line. Can I/we enter a group or corporate team? Yes absolutely, the more of you running as a group or team the better! Everyone in your team will be running individually but you can choose to create a team as you go through the registration process. Team members pay individually. For this type of team you sign up through the ‘Individual entry’ section and either create or join a team during registration. A team captain pre-pays for a team and circulates a discount code so the other team members can ‘Claim a place’ in that team. There are discounts associated with option 2. If a team captain creates a team by 31st August only those who claim their place on the team by 31st August will be eligible for the early bird long sleeve running top. All places in prepaid teams must be claimed by 31st October. This is to facilitate building the team packs. Following 31st October spots are no longer held and go on general sale. Simply join the team at time of entry. If the team is private you will need the password from the team owner. What are the advantages of a team? WHAT DOES MY ENTRY FEE INCLUDE/COVER? Everyone in Dublin, Cork, Belfast, and London gets a cool flashing armband, a goody bag, and bottle of water (when you finish! ), chip timing with a text to confirm your result, and a certificate of completion. As well as a great atmosphere and being a vital part of a global movement sweeping round the world on one night to raise awareness of paralysis and the Trust’s mission to cure paralysis in our lifetime. 100% of your entry fee received goes directly to The Mark Pollock Trust. Our fantastic sponsors help pay for the costs of putting on this multi-location event, which is expensive to run. Any Run In The Dark organising costs that aren’t covered by sponsorship money are paid for by the Trust. We are constantly seeking more financial support so that sponsors cover all the event costs. Then we can make the event even better for you and raise more funds to support the Trust’s mission to find a cure in our lifetime. Thank you for being part of the Run in the Dark and generating awareness of the Trust’s mission and the issue of paralysis worldwide. How do I get a Run in the Dark tech top? Register by 31 August for Run in the Dark in Dublin, Cork, Belfast or London and you’ll receive a FREE 2018 tech top. If you miss the deadline, you have the option to purchase a top when you register. This option is also open to our pop-up runs, based on requests we’ve received from runners! Can I get a tech top if I register for a pop-up run? Yes, this year as a result of requests from runners, we are offering the option to purchase a tech top as part of the registration process. The cost of the top includes package & posting costs from Ireland to your location. I’m not sure what size Run in the Dark tech top to order, do you have a sizing chart? Yes, please see the below sizing chart for our long-sleeve tech tops. Please bear in mind that Run in the Dark tech tops are unisex. Absolutely! If you miss out on a place or just want to help out on the day and marshal that would be great. You would be there to support and encourage all the Run in the Dark participants! Click here to express your interest. We would be delighted to welcome you to join our team! Do you have a training plan? Of course. You can download our 8 week beginner training plan for both 5k and 10k here.